This light, gentle facial massage stimulates the lymph system. It relaxes yet detoxifies, aids healing, delivers nutrients to where they’re needed, and drains puffy/swollen tissues. Our lymph nodes look small and unimportant but they play a critical role in our body’s health. A lymph node is an oval-shaped organ of the lymphatic system, which is distributed widely throughout the body and is linked to other lymph nodes via lymphatic vessels. Lymph nodes act as filters or traps for foreign particles and are important in the proper functioning of our immune system. They become inflamed or enlarged during infections and diseases that may be as minor as a throat infection or as life-threatening like cancer. 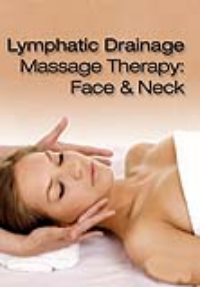 Our Manual Lymphatic Drainage (MLD) treatment facial is a gentle facial massage that stimulates the lymph system and encourages lymph flow in the body. During the facial, extremely light, circular pumping movements are used to stimulate the lymphatic system. This supports the flushing of toxins from our body, helps drain our sinuses, and reduces fluid retention in the face, thus slimming down the face. Our experienced therapist will also pair the MLD massage with the use of aesthetic equipment like LED or MicroCurrent to address your skincare concerns. The result is facial skin that has a healthy glow, well hydrated, firm, and smooth. Oxygen Facials combat the visible signs aging. As time goes on, oxygen levels in the skin decrease and cell turn-over is reduced. Oxygen Facials reverse this effect by replenishing lost oxygen and moisture into the skin through the use of a high powered airbrushing tool. Many celebrities including Madonna have long raved about the effects there skin received from the facials. So what’s all the fuss about? Others who have high profiles are commonly concerned about how smooth their skin will look on television or in magazines especially with the advancements of high definition television. OXylem facials will smooth out your skin, increase cell turnover, restore moisture and assist in removing visible signs of aging! You can compare it to someone using a tiny power washer to pump oxygen and moisturizer into the skin. 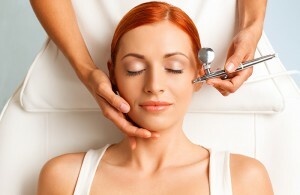 People who use oxygen facials say the process helps makeup application. Makeup also can be applied right after the oxygen facial, as opposed to traditional facials, which often require a 12-hour waiting period before you can apply any makeup because it gives the skin a smooth and moisturized surface.